Flynet would like to offer their SAP Mobile Dashboard Add-on free to the SAP community. The tool works independently of Flynet software, so can be used by anybody with SAP Crystal Dashboard Design/Xcelsius. The standalone Dashboard Capture tool allows users to capture their mobile preview files and publish their mobile dashboards, without any platforms, apps or modifications. 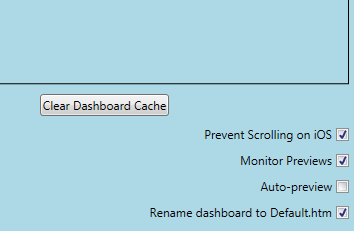 The Dashboard Capture tool was developed as part of Flynet’s mobile conversion of Flynet Xcelsius Server; designed to utilise SAP’s new HTML dashboard components. The changes mean that users with Flynet Xcelsius Server can now create dashboards that query any ODBC or OLEDB database (including HANA, MySQL, Oracle, SQL Server, Teradata and DB2) and transform the data into attractive dashboards that work on both desktops and mobile devices (including iPads, Android devices and many more). To download the complete Dashboard Capture tool, or an evaluation copy of Flynet Xcelsius Server, please visit our download page.